During National Library Week, April 13th -19th, the New Jersey Library Association is asking library supporters around the state to contact their New Jersey Legislators and advocate for increased library support. Currently, the state provides just 42 cents per person for library service, seven cents less than the cost of a postage stamp. There is currently a bill with 17 sponsors that would increase per capita state aid for New Jersey's library by $3 million. We hope by you and other library supporters reaching out to New Jersey legislators, this bill will be passed and libraries will receive critical fiscal support. New Jersey libraries are also in desperate need of a Capital Construction Program. The last program for capital construction in public libraries was passed approximately 15 years ago with a $45 million bond act. Libraries require capital investment to keep up with technological requirements, improve ADA accessibility and provide more flexible spaces for training labs and maker spaces. Now is the time to invest in the infrastructure of New Jersey's libraries to allow them to meet the evolving needs of the community. Thank you for your time and your support of New Jersey's libraries. 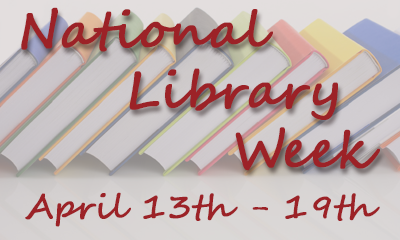 Read more about National Library Week! one of their biggest book sales of the year! Bring your own bags, or purchase a limited edition reusable tote for $2.OO, and stock up on books, audiobooks, movies or music. 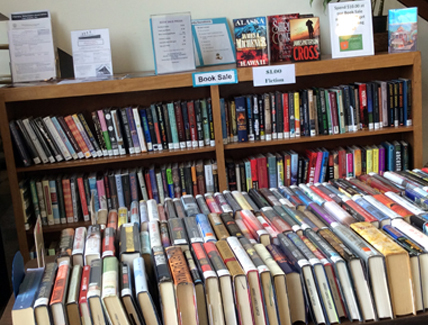 All proceeds help support adult and children's programming and events for the Mays Landing branch. More than 22,000 Atlantic County residents registered for federal assistance in the aftermath of Superstorm Sandy. A new online survey seeks their input as well as those who were impacted but did not request assistance. 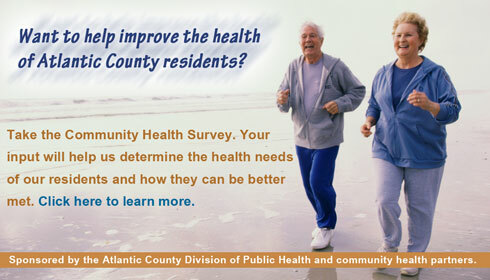 A link to the survey is available through April 30 on the county websites: www.aclink.org and www.ReadyAtlantic.org. In March 2014, our Brigantine Branch was recognized by the Library Journal for their community work in response to the aftermath of Hurricane Sandy. Following is an excerpt from the article by John Berry published on March 27th. Atlantic County Library System’s (ACLS) Brigantine branch was one of many libraries in communities damaged by Hurricane Sandy in 2012. In response, the library created the Sandy Stories Project (SSP), a feature film documenting the impact. Other branches may replicate this pilot program in the future, but the project’s footprint goes well beyond the library. ACLS partnered with local businesses and community agencies such as BrigStrong (the town’s long-term recovery group); city officials; New Jersey Hope and Healing (NJ Hope), a FEMA-funded peer counseling effort; Richard Stockton College of New Jersey (Stockton); and local schools. Those relationships continue beyond the documentary. The Atlantic County Library System has revised their renewal policy for DVDs. Patrons can now renew DVDs once, for an additional 7 days, if the DVD is not on hold for another patron. 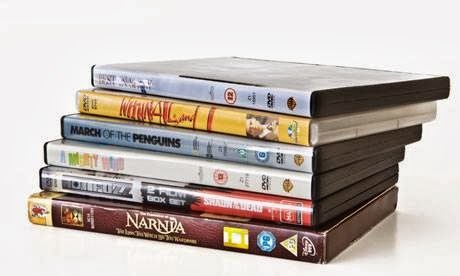 A total of 4 DVDs can be borrowed for a 7 day loan period. The borrower must be at least 18 years old. There is no charge for these items if returned by their due date. After a 7 day check out period, late fees will be assessed daily at $1/day. Late fees will be assessed if the DVD is renewed after the original due date.